I haven’t tried anything from BYS in a long time because their old makeup was really low quality. However, this year I started to see a lot more people posting about how much they were loving the new BYS eyeshadow palettes. The BYS Peach and BYS Berries were the two palettes I was seeing over and over again on my social media, so I set out to find them. I knew that Kmart stocked them for $12 which is lower than the $16.95 that they sell for on the BYS website. Unfortunately, they sell out really quickly at Kmart so it took my a long time to get my hands on both of them, I have however been able to pick up a couple of extras during that time, so read until the end and you can find out how to win them. BYS is a cruelty free brand, and they got PETA accreditation this year. Both of the BYS Peach and BYS Berries palettes are also vegan friendly. The palettes are a metal tin package that contain 12 eyeshadows and come with a mirror that runs the full length of the palette (but I covered the mirrors up with the cardboard packaging in some of my photos to make photographing them easier). The Peach palette packaging has a soft matte finish and gold writing whereas the Berries palette has a shiny finish and rose gold/champagne writing (the berries palette does tend to pick up finger prints easily, but many eyeshadow palettes in my collection do that). Both palettes come with two double ended eyeshadow brushes, but they’re poor quality and really just get in the way. 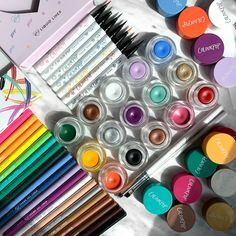 For this review, I have done multiple swatches per palette and taken photos on multiple backgrounds and in multiple lighting situations to try and find the best combination for accuracy (so it is a picture heavy post). Being so pale, the background really does change the way swatches look on me, so I will include both black and white background swatches, as well as finger and brush swatches (white backgrounds can distort colours when paired with my very fair skin tone). Every review I have seen of these palettes so far has only included finger swatches, but I think brush swatches are important to show you as eye shadow gets applied with a brush. All my brush swatches are 4 strokes (they were supposed to be 3 but I messed up) and all done using a dry Furless black beauty eyeshadow brush (ME5) and cleaned with a colour switch between every swatch. I have multiple reviews on Furless brushes (affiliate) you can check out on my blog. They’re my favourite brushes and they’re cruelty free and vegan. You can read my Furless Purple Power Makeup Brush Set Review when you finish reading this post. The BYS Peach eyeshadow palette has 9 shimmery shades and 3 matte shades. The colour range includes, cream, pink, gold, bronze, orange and brown. The colour names from left to right when looking at the palette are Dainty, Dazzling, Slay, Pamper, Lavish, Cheeky, Peachy, Dashing, Devoted. Enticing, Brazen and Flashy. All shades have good colour pay off whether applied with fingers or a brush. The shade range is really nice and all shades go together well. There are many eye looks that can be created with the colour range provided. 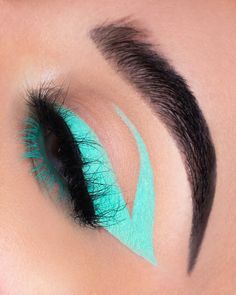 The three matte shades do cover the bases of a highlight, transition and outer corner colours, but I would have loved to see more matte shades in the palette, especially a bright matte pink or orange. There isn’t a very dark matte colour, so to get a deeper look you will need to use something else with this palette. I enjoyed most of the shades in this palette, I did however find flashy (the gold on the end) to be quite sheer. When applied, flashy sheers out very quickly and leaves the glitters behind which isn’t something I like from an eyeshadow. 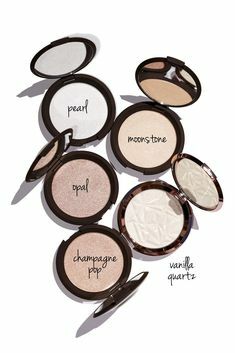 The other shimmer shades apply much better and can be made very intense with a wet brush. Some people have said this is a dupe for the Too Faced Sweet Peach palette but you can clearly see that the colours are different when just sitting the palettes next to each other. For $12 I think this is a great palette and worth purchasing to have a play around with. 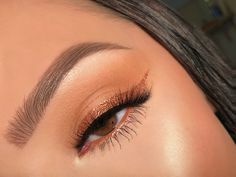 Warm eye looks with orange are very popular right now, and this is a great palette if you want to experiment with that colour range. The BYS Berries eyeshadow palette has 4 shimmer shades and 8 mattes shades, with colours ranging from light creams and golds, to mid and deep browns, as well as two purple-red shades. When looking at the palette, the shade names from left to right are Peachy, Radiance, Glow, Toffee, Sundown, Majestic, Royalty, Cherry Bomb, Juliet, Berry Haze, Antique and Shaded. All the shades (but one) applied nicely with fingers or a brush, but some of the lighter shades don’t show up well on my skin just because they’re the same colour as me. The one shade I don’t like is Antique, which is really unfortunate as in the pan it looks like such a gorgeous shade, but when I tried to use it, it sheered out very quickly and just left the glitters behind. There is some kick up and fall out with all the shadows, but all easy to deal with, except Antique as the glitters are really hard to remove when trying to clean up the fall out. Overall though, I really love this palette. 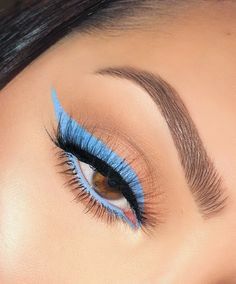 The range of mattes is great, the addition of the cool tones to the right of the palette make it so versatile, allowing for both cool and warm toned looks. 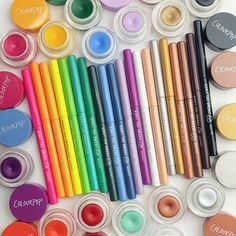 I always prefer a palette to have more mattes over shimmers, because I am happy to wear an all matte eye look, but when using shimmers I still want matte base shades. The eyeshadows apply and blend nicely and are such great quality for the price tag, surprisingly so. I have seen people saying this is a dupe for the Anastasia Beverly Hills Modern Renaissance eyeshadow palette, I don’t own that palette but it is easy to see that the shades aren’t an identical match and I do prefer the ABH eyeshadow formula over these, but the price tag is much much higher. I think these two palettes from BYS are really worth picking up and if you can get them from Kmart for the $12 price tag, that’s even better. I personally prefer the Berries palette over the Peach palette simply because the wide range of matte colours work a lot better for me, but I think both palettes are a great buy. If you have both of them, they work well together with Berries providing the mattes that the Peach palette needs for all the shimmers. I spent so much time swatching and photographing these palettes, so I hope all the pictures help you to see how they perform. BYS recently launched another palette called Fantasy that has 12 matte eyeshadows in a wide range of colours, it looks like the exact type of palette I have been searching for, so I may pick that one up to review, let me know in the comments if you want to see that as well. Update for USA readers – The BYS website does ship to the the USA as well as the largest BYS stockist, Fashion Addict – plus the Berries palette is available to purchase on the American Amazon site. Now for the giveaway – I have two lots of brand new BYS Peach and Berries palettes to give away. One person will win one Peach and one Berries palette though my blog, and one person will win one Peach and one Berries palette through my instagram. Both giveaways are only open to Australian residents as I don’t have the funds to post overseas at the moment. To enter the blog giveaway, comment on this blog post with which eyeshadow palette you like better and why, and also let me know if there is something in particular you want to see on my blog in future. Entries will close at 6pm on Tuesday the 19th of December 2017, Melbourne time. I will choose the winner randomly and reply to their comment. Please check back just in case you don’t receive a notification of my comment. The winner will have 48 hours to get back to me or I will choose another winner. Open to Australian residents only. Under 18’s must have parental permission to enter. Tracked postage will be included and I will bubble wrap the items well but I won’t be responsible for any broken or lost packages if something does occur. I will post the Instagram giveaway is live. You can find the giveaway on my Instagram now. It will be open to Australian residents only. Under 18’s must have parental permission to enter. Tracked postage will be included and I will bubble wrap the items well but I won’t be responsible for any broken or lost packages if something does occur. If you have any questions just leave a comment and I’ll get back to you. Don’t forget to sign up to email updates so that you can get all my cruelty free blog posts to your inbox. You can also find me on Instagram, Twitter, Facebook and Pinterest. I’d love to try the Peach palette! It looks like a nice cruelty-free Australian dupe for Too Faced Sweet Peach + who doesn’t love a warm tone look for the Australian summer? The berries palette! The rich raspberry shades just grab my eye lately! I am a matte lover overall but somehow I am drawn towards shimmers and glitters in eyeshadows these days so I would live to try the BYS peach eyeshadow palette. The warm shades in this palette look so good and definitely worth playing. These Shades can attract anyone. BYS Peach Palette is one of my favorite swatch. 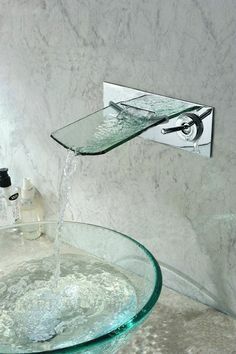 Thanks for this Great post!